Most people are used to paring avocado with savory foods. Not me though. I love it with banana. Toast 2 slices of Ezikiel bread. 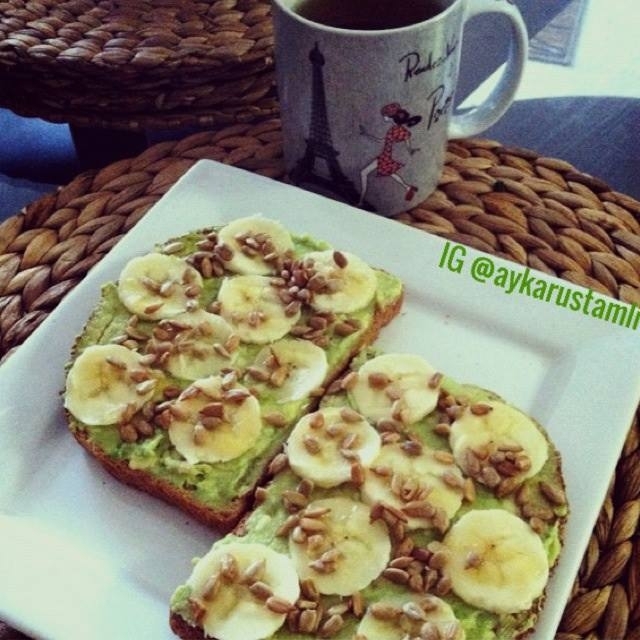 SPread 1/4 avocado and top with banana slices. Drizzle with honey and sprinkle with roasted sunflower seeds.